Blah blah, been away, insert excuse here. I’ve had a fab Christmas, I hope you have too. I returned to full-time work recently and have been too wiped to enjoy my fam let alone anything else. 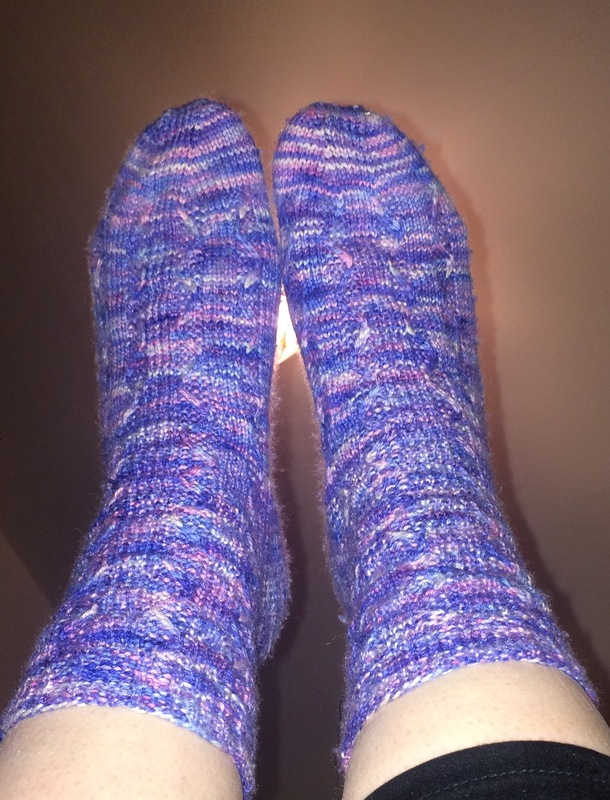 But over crimbo I finished a pair of socks – no languishing on second sock for me, just whip, whip, go. 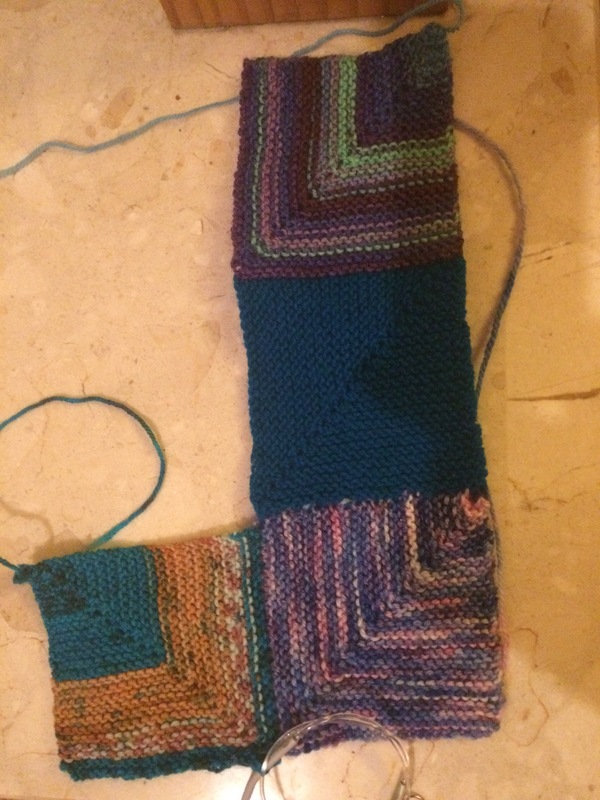 They’re patterned, and done in variegated, so of course the patten is indecipherable. They’re “To the ocean” by Helena Callum from knit now 60. I only made one mod- to slip the travelling stitch every other row. 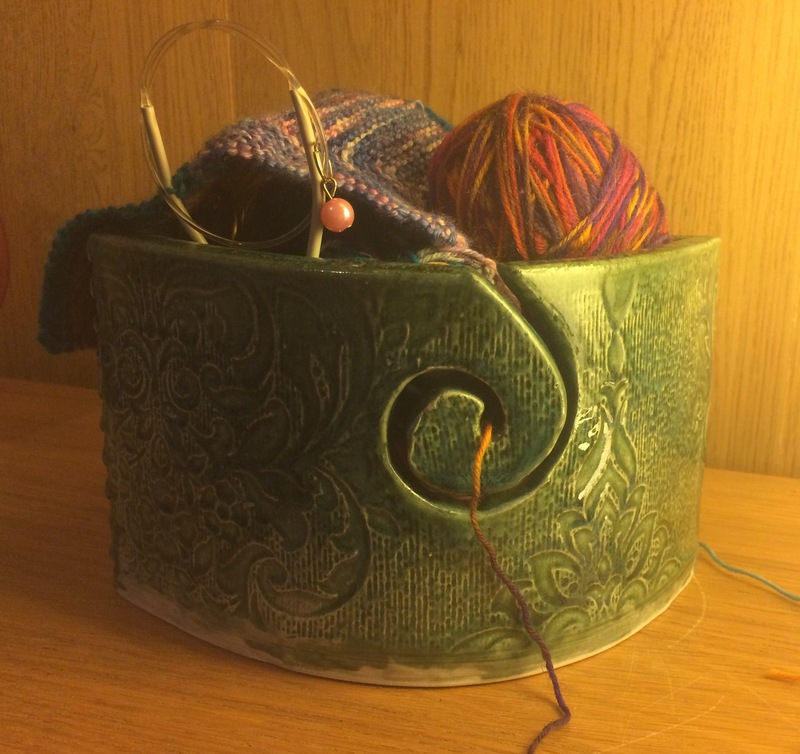 My bro got me knitting stuff from Winnie’s craft cafe for Christmas, including this gorgeous yarn bowl by carol burke. I <3 it muchly. I’m def in a sock mood and lil bro hit the nail o the head with his gift cos the other things were sock yarn and a sock book. I’m thinking of joining the 12 socks in 2017 challenge set out by Dee Murphy in the DKC knit along group on facebook. Just to be clear, I’m taking that as 12 individual socks, not 12 pairs as srsly? Wrists aren’t cut out for that amount of action!! Have started a wee leftover mitred sq blanket tho. All these shots are brought to you courtesy of night-time lighting soz. What else? Hmmm my resolutions are the same as always and I expect they’ll all do what they usually do and fizzle out by next week. Except one. Apols for the cryptic stuff that follows. I’m doing something that’s making me unhappy ATM and I’m working on digging my way out of that. My resolution for January is to study up for the first, best opportunity to get out. Happens in Feb. Fingers crossed.